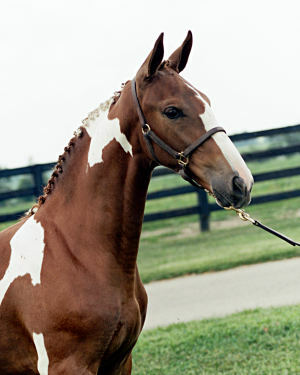 The incredible stamina and athletic ability of the TB breed combined with added bone, forward powerful strides, uphill build, suspension, disposition of Nico produces an extraordinary performance horse with the 'mind, foot and bone' to succeed and hold up throughout training for a long healthy career. The fantastic movement and power to win the ribbons whether it be dressage, cross country, jumping/eventing or combined driving. When pleasure riding or hacking is desired.............a loving willing attitude offers the kind of athlete that is also a companion on the trail. Nico greatly improves the foot of our beloved TB athlete which is a big part of our breeding program. 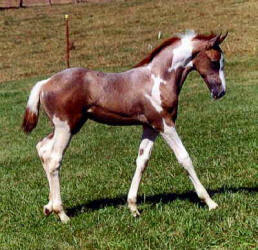 Equine Lameness is our Veterinary passion and we desire to breed horses with the intention of improving feet! The Friesian shoulder so evident in Nico's offspring offers much freer movement through the shoulder. improving extension, big forward strides and all around front end freedom for lateral upper level maneuvers. 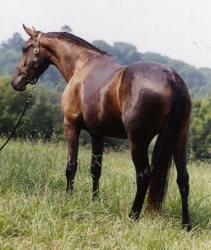 There are several warmblood registries available in the US. Most of our offspring are registered with AWS. 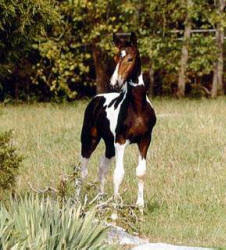 There are several colored and pinto options as well. 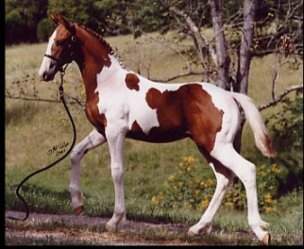 There are also Friesian Sporthorse Registries. Many of ours are or will be at the time of sale registered FSA.